The Abdulrahman Abdulrazaq Campaign Organization is deeply concerned about the violent tendencies exhibited by the outgoing Senate President Bukola Saraki-led Kwara State Peoples Democratic Party as the elections draws nearer. It is worrisome why Senate President Bukola Saraki and his gubernatorial candidate, Rasak Atunwa among other candidates of the outgoing Kwara State Peoples Democratic Party (PDP) are moving around for their political campaigns with thugs brazenly displaying arms and ammunitions, which poses serious threat to the peaceful and harmonious co-existence of the people of Kwara State and conduct of the general elections. We received with rude shock, the brutal manner at which the thugs on the campaign train of the Senate President, led by one Lateef Omojuomolo harassed and battered a personnel of the Directorate of Security Service (DSS) right at the GRA Ilorin residence of Senate President Bukola Saraki and continued shooting sporadically into the air to prevent their arrest by other DSS and police personnel on ground to rescue the ugly situation. It was however saddening that these thugs sought refuge under Saraki after committing the crime, as seven (7) of them were busted and arrested at the Mandate/Constituency office of the Senate President by personnel of the DSS. 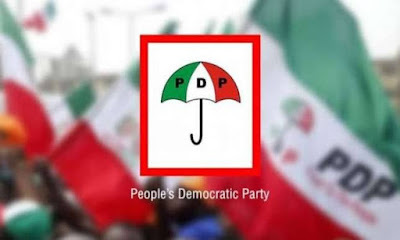 The incident narrated above followed a similar trend of violent tendencies exhibited by the PDP at their campaign rally in Balogun Fulani ward 1 of Ilorin South Local Government, where the rival cultists amongst Saraki's political thugs clashed. The Zango ward PDP Chairman Alhaji Toyin and PRO popularly known as Mai Kudi were both hit by stray bullets and currently receiving treatment in the hospital. While we commiserate with the DSS personnel and families of those affected by the political violence orchestrated by PDP, we call on security operatives to beam its searchlight on and go after any form of violence instrument that may threaten the peaceful, free, fair and credible general elections, no matter whose ox is gored. This latest development is a clear manifestation of the fact that the only manifesto of the PDP is to unleash violence across the State, with the aim of scaring away peace loving electorates. We while commending the professional manner with which the security agencies have gone about their duties thus far, demand that all hands must be on deck towards ensuring peace reigns before, during and after the polls. In the same vein, we enjoin Kwarans all over the globe to remain resolute and stand solidly behind the OTOGE movement by marching forward unfettered, as the long awaited liberation of our dearly beloved State is almost at hand.